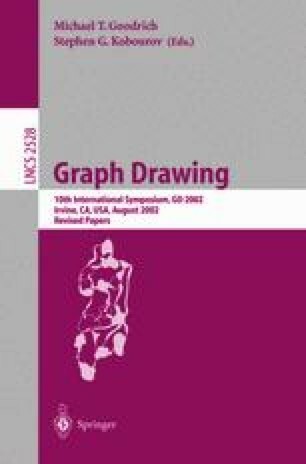 We present an algorithm for drawing directed graphs, which is based on rapidly solving a unique one-dimensional optimization problem for each of the axes. The algorithm results in a clear description of the hierarchy structure of the graph. Nodes are not restricted to lie on .xed horizontal layers, resulting in layouts that convey the symmetries of the graph very naturally. The algorithm can be applied without change to cyclic or acyclic digraphs, and even to graphs containing both directed and undirected edges. We also derive a hierarchy index from the input digraph, which quantitatively measures its amount of hierarchy.